January 2019: The largest single volume order received for the barnacle-repelling antifouling ingredient Selektope® coupled with strong commercial developments in late 2018 will see the number of ships using Selektope®-containing antifouling coatings more than double in 2019. Placed by one of the industry’s leading marine coating manufacturers Chugoku Marine Paints (CMP) in December 2018, this follow up order fulfils CMP’s previous minimum commitments contained in supply agreements signed in early 2018. The order will be delivered during 2019 for use in CMP’s range of existing coating products containing Selektope® that target both new building and dry-docking demands. 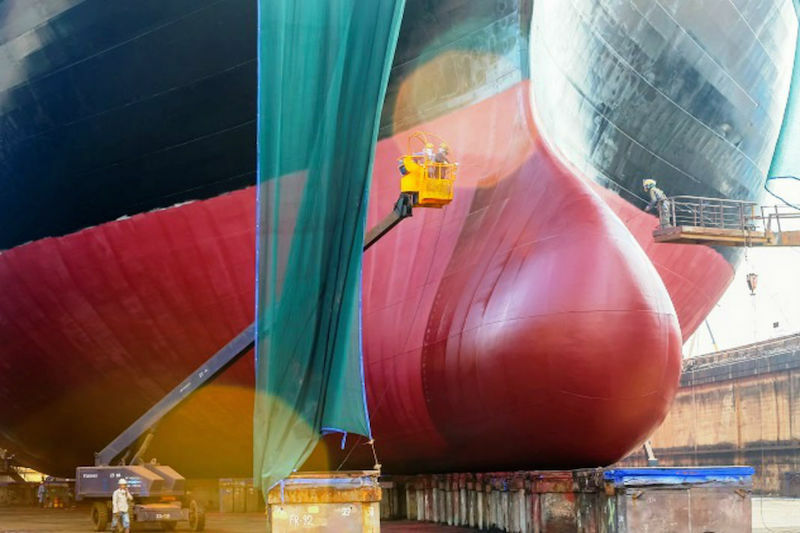 Hundreds of ships have been coated with antifouling paints containing Selektope® since the launch of the technology into the marine market. Large volume orders received by I-Tech AB for Selektope® from global paint manufacturers not only confirm the increasing demand for the technology, but also the mainstream position of Selektope® within the antifouling coatings market. About Selektope® Selektope® introduces, for the first time, a pharmacological mode of action to combat barnacle settlement. By temporarily stimulating the octopamine receptor, the barnacle larvae’s swimming behavior is activated and the organisms are deterred from the hull. These ground-breaking discoveries enable unrivalled power at very low concentrations, yet within the limits of rigorous risk assessments. Selektope® is an organic, non-metal compound with efficacy proven at 0.1% w/w. About I-Tech AB I-Tech is a Gothenburg based bio-tech company with global reach, holding all IP and regulatory rights to the antifouling agent Selektope® (generic name, medetomidine). The company is privately held and is supported by Swedish Energy Association, the European Innovation Initiative Eco-Innovation and FP7 SeaFront. The company is a member of the Astra Zeneca BioVentureHub.